Now that one of our own is at WHO’s helms of affairs, what does this mean for healthcare systems on the continent? Since the 1 July 2017, Dr. Tedros has been the new ‘captain’ of WHO and he’s certainly off to a flying start. Earlier this week, he set out his priorities at a ‘townhall meeting’ with WHO staff, and today and tomorrow he’ll be heading the WHO delegation at the G20 summit in Hamburg – a first ever for a WHO boss, at the request of Angela Merkel. After his 23 May victory, there were mostly accolades, jubilations and congratulatory messages in Africa, especially as a son of the soil, born and raised in a rural area, overcame all the odds to achieve such a feat. But going forward, now that one of our own is at WHO’s helms of affairs, what does this mean for healthcare systems on the continent? This report zooms in on the views of African public health experts and scientists who spoke to us recently on what they expect from Tedros in the years to come. With the emergence of Dr. Tedros, Africans like Nigerian Health System and Policy Specialist Dr. Ejemai Eboreime see Africa as now well-positioned to define and lead the next phase of global health development. The continent has already demonstrated its capacity to take on this challenge. For Eboreime, the jubilations were not on the platform of sentiments but on a track record of Tedros’ competence in improving equity in access to healthcare as Ethiopia’s health minister (2005-2012). While there was a global effort to improve Africa’s health systems, Ethiopia met the Millennium Development Goal target of reducing child mortality by two-thirds two years early. HIV infections, malaria and tuberculosis mortality also declined by 90%, 75% and 64%, respectively. Still, there are a few concerns. One of them being, according to Jean-Paul Dossou, from the Republic of Benin, “some people may feel that Africa is now leading a relatively 'weak' organization with a poorer impact, globally” (as compared to earlier decades, when WHO was uncontested or at least less so than in the 2000s era of global health initiatives). Dossou adds: “This is the main challenge Tedros will need to address – getting WHO back in the driving seat.” True, easier said than done. On whether Tedros’ emergence might bring a change in this regard, Eboreime says, “Numerous economic and political factors are responsible for this. I think WHO, under Dr. Tedros’ leadership, will be better positioned to understand the varying contextual factors impeding implementation of the Declaration and provide advocacy and technical support towards improving funding for health, particularly as it applies to ensuring universal access to quality healthcare, which is the mantra upon which he won the election. However, given the contextual challenges of African nations, UHC is the foundation upon which any meaningful development can be premised in Africa. It should therefore be a non-negotiable priority agenda for countries under WHO-AFRO.” That surely seems to fit with Tedros’ view: as he made clear earlier this week, he considers UHC as 'the captain of the team'. Tomori agrees with Dossou on this issue, also emphasizing that Tedros is not the head of an African health organisation, but of a global one. Against this backdrop, he argues that establishing and sustaining a reliable and efficient disease surveillance system is another priority that the new DG should consider in order to prevent and control emerging and re-emerging diseases. Finally, Assefa also acknowledges Tedros will need the goodwill and collaboration of other global health initiatives and sectors (given the many complex – even 'wicked' – SDG era health challenges). There again, early signs are promising. 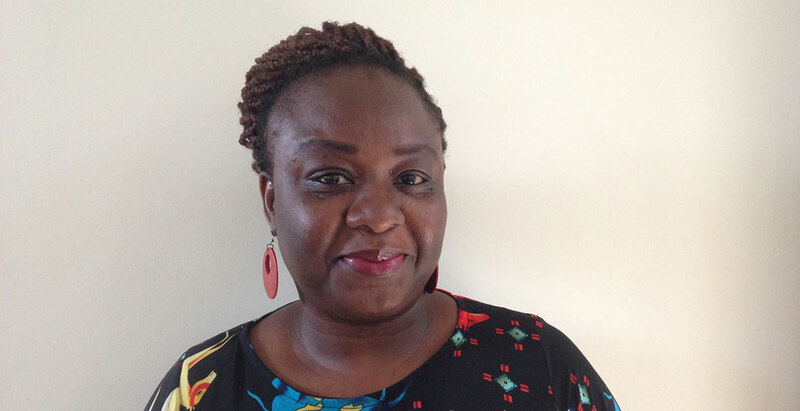 This article by Nigerian journalist Adie Vanessa Offiong first appeared in the International Health Policies blog run by ITM's Unit of Health Policy.